EURUSD had a sharp growth towards 1.12 area and this pair is under the influence of the Fed’s decision. The support rests at 1.11430 with resistance at 1.12450 which the weekly pivot point at 1.11920 is staying in between the lines. The EMA of 10 is moving with bullish bias and it is located below the EMA of 100. The RSI is moving towards the overbought area, the Stochastic is showing upward momentum and the MACD indicator is in negative territory. 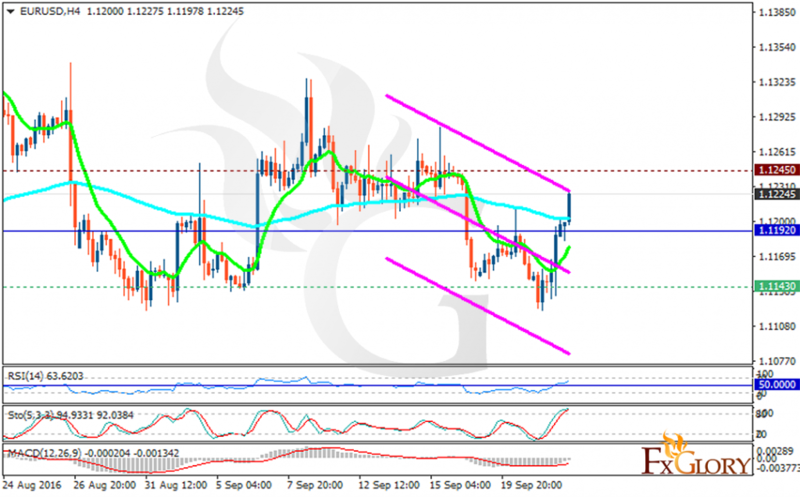 The pair will continue its upward trend targeting 1.1250.